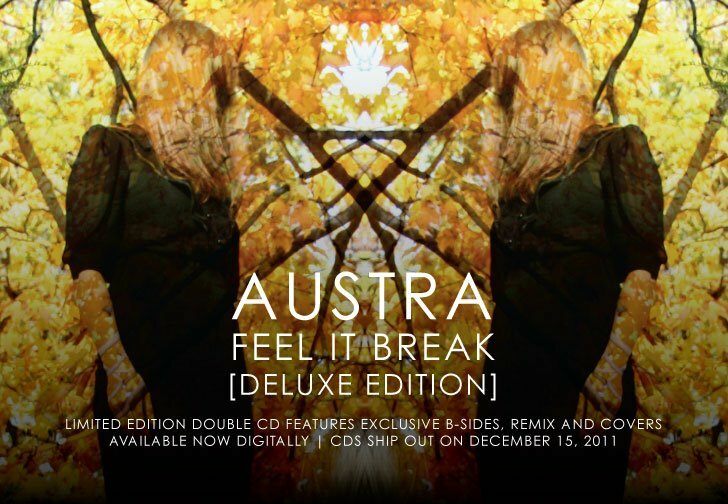 Feel It Break, the debut album of the Toronto electro band, Austra, has been one of my favourite albums of 2011. It electrifies me with gravitative electro tunes and with marvelous vocals. The six piece has put together a nice deluxe version of the record via Domino Records, which is available from today. In addition to the full master pieces on the A-side, A number of fantastic cover songs are included in the B-side with unreleased tracks, such as Joni Mitchell's 'Woodstock' and 'Roy Orbison's 'Crying.' The Orbison's cover is now avaiable for streaming via Sound Cloud. Speaking of covers by Austra, have you guys have of this one?-The Stroke's 'Alone, Together'?